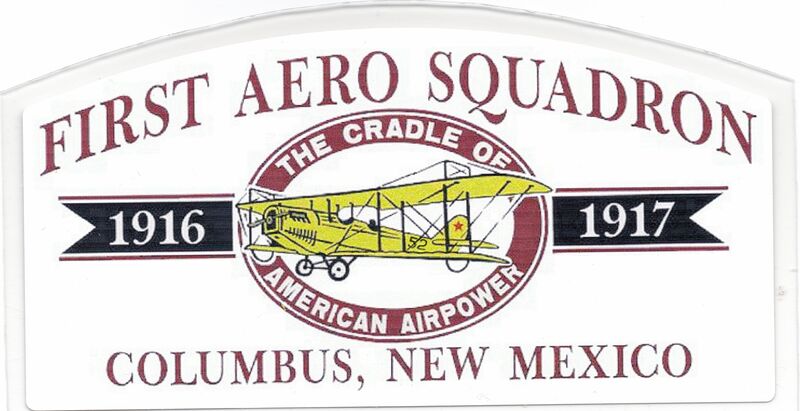 Your First Aero Squadron Foundation (FASF) now owns 60 acres adjacent to the southeast corner of the village of Columbus, New Mexico. These 60 acres contain two historic sites: (1) a portion of the original airstrip (on the National Historic Register) from which the First Aero Squadron operated in 1916-17; (2) most of the former Columbus Municipal Airport which dates back to the 1920s. This latter field was abandoned in the ‘70s but still appears on the FAA register as Zero NM Zero. We have restored and are now maintaining 2600 feet of that original east-west runway. We’d like to add another 100+ acres to our holdings. The remaining portion of the historic aerodrome as well as the rest of the old airport are still in other hands. We would then have what would amount to three important properties, each connected to the others, but to do this would require another $100,000 or so that we currently don’t have. On the aerodrome site, we envision creating an interactive and interpretive “museum” (that is such a restrictive word) dedicated to the memory and mission of the First Aero Squadron. As a part of this display we could also recreate a portion (if not all) of the squadron’s flight line complete with machine shop, hangars, squadron briefing room, etc., and demonstrate the evolution of American Airpower from 1913 (inception of 1st Aero) into the ’20s and ‘30s. On the southern property could be a modern aviation operation dedicated to the Biplane Era, the so-called Golden Age of Aviation. Here, hangars could be erected by owners on spaces with long term, low cost leases. Self-serve refueling could be available along with flight training, charter and rentals. This field could be user friendly to both The Experimental aircraft Association (EAA) and the new Light Sport airplane enthusiasts, who would find over 300 days of sunshine a year here. The remaining land, the northwest segment, is not itself historic. However, it is so well situated that it could be devoted to light manufacture and service in support of the aviation industry. This site is 75 miles from a major intermodal hub (El Paso, TX), 30 miles from an Interstate Highway and railroad, only 3 miles from a 24 hour international border crossing, less than a quarter mile from a hotel, restaurant and post office, and a few hundred feet from a two lane paved state highway. City services are now available at the edge of the property. Of course all of this is possible just on the 60 acres we now hold, but just think of the possibilities were we able add another 100 or 150 acres… Undeveloped desert land now sells anywhere from a couple hundred to one thousand dollars an acre. Our treasury now holds just a couple thousand dollars with obligations coming up. We have invited internationally known artist Peter Westacott, a member of our Advisory Board, to put a few of his site design ideas on paper, and we invite the membership to do so as well. Refer to the website (www.firstaerosquadron.com) for a corrected plot of the site. Would you like to be a part of this brainstorming? We welcome your ideas, especially for what might constitute a fitting First Aero Memorial and “an interactive” museum. Also a part of our dream is to have this facility involved in aviation and history programs reaching out to middle and high school students as well as the to the many regional universities and community colleges serving the area. If we don’t do it, who will? I’d be happy to relay more information on both program and design if you’d like to give me a call at 575-531-7044. Historian and Advisory Board member John Deuble reminds us that we will also need to establish local and regional contact information to guide visitors to a Columbus sojourn, now and throughout the development of the project. Focus should be on Deming since almost all those heading this way will be funneling through that city. We have done little in that direction besides scatter a few rack cards. By the same token, additional Columbus infrastructure must be developed to support the visitors we expect to generate. We are not living a pipe dream. There is money out there to fund what needs to be done, and there are skilled folks who can see us to the culmination of our undertaking. It is going to take hard work— frankly, more than can be accomplished just by your nine-member board. We need folks willing to work with us in the Columbus area and even more who could volunteer to work from their homes, like FASF member, Charles Simien, of El Paso, who is developing grant applications. Yes, Virginia, there are grant monies out there, but they must be searched out. We need between $5,000 and $10,000 just to access data bases and software to seek the grants that would make our dreams come to fruition. At present, that kind of cash would make a year’s operating budget. Is there someone out there who could front us that sum? Another issue is simply this: what shall we do with ourselves while the dream takes shape on that plot of land southeast of Columbus, New Mexico? As I write this, we have files stuck in the corner of Trustee Jim Davis’ hangar, and piles of paperwork, stuff to sell, and a notebook scattered in several homes in south Luna County. Until we have paid the $7500 we owe the previous landowner, we have agreed not to install any permanent structure. So, we need a home until we can have a real home. Does someone in the Columbus area have a shed or closet that can be secured from the elements but accessed by the board? We find ourselves at a crossroads where we must seriously consider the direction next taken. Actually, I think that at this point we must either decide to be satisfied with our efforts to date and sort of come to a halt, or figuratively hitch up our suspenders, take a deep breath and move on to the next level. This next level involves raising serious money and probably means that we bring an executive director on board to coordinate volunteer activity; greatly increased fund raising efforts; and more activity centered on the historic First Aero Site. We have a nucleus of about 200 supporters now, most of whom pay $20 a year for membership. Our average donation isn’t much larger: the biggest donation we have ever had was $1000 several years ago. That’s fine, because it shows us to be a truly grassroots movement but it also means that we need to greatly expand our support base. You can help by passing around membership applications and talking-up First Aero among your friends and associates. We are doing our part as a board. We are currently upgrading our website with the help of Trustee Ric Lambart and his son Eric, and past webmaster Kris Lethin. Again, your suggestions will be of great help. By the way, our offer of runway naming rights is still open. The first ten grand donated gets to name the runway. This is certainly a chance to memorialize someone in a wonderful and unique way. OK, I’ve laid out is some detail how I see our dream coming to be. It may end up being bigger or somewhat smaller but it will none-the-less come to be. With your help, and the help of others like you, we can do it. If we don’t, who will? Debbi Evans, pictured to the left, is one of several FASF members who have lent their assistance to the FASF Board in the past. James Efferson, a former board member, likewise spent many, many hours helping us after stepping down from the Board. 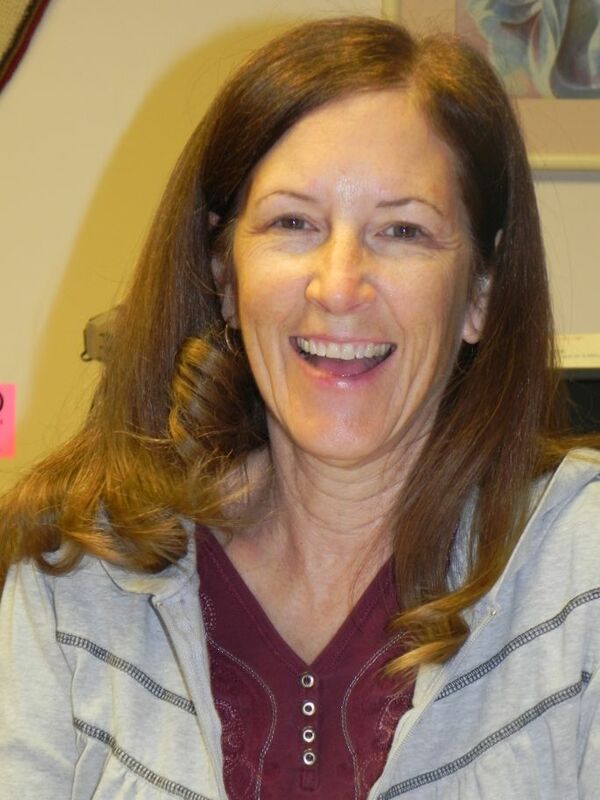 Both Debbi and James are consummate professionals whose meticulous work was highly appreciated. Thanks again for all your help! We really appreciated it! Columbus, New Mexico, the birthplace of American Airpower, once again made international news this past month as the U. S. Department of Defense announced the celebration of the end of the first century of American combat aircraft since the deployment of its earliest primitive military aircraft. In early March, the United States Air Force (USAF) celebrated this colorful historic event by holding a series of symposiums and presentations relating our aviation history to over 100 invited guests and aviation industry leaders, among which were six of the now retired active duty officers who piloted the famous U-2 and SR-71 Blackbird reconnaissance military jets, the Blackbird setting the all time coast to coast speed record of about one hour, a record that still stands. The event was staged at both Beale Air Force Base (BAFB) North of Sacramento, CA, with the final Banquet capping over 400 guests held at the Sheraton Grand Hotel in California’s capital city. 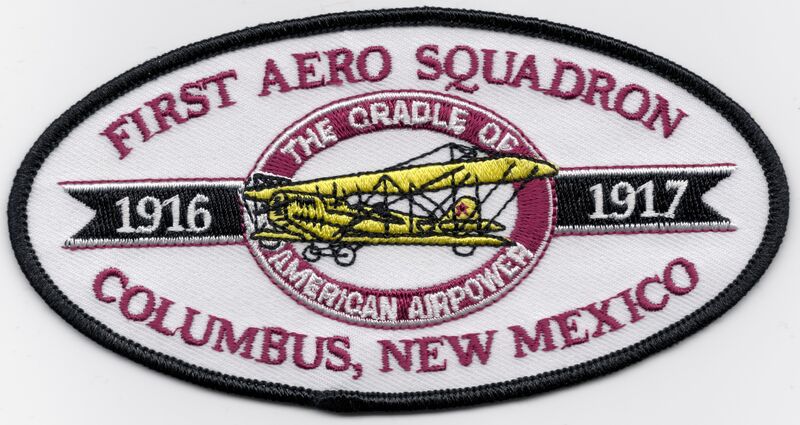 Because of its dedication to preserving the historical significance of the First Aero Squadron’s initial combat deployment to SW New Mexico (in response to the infamous raid by Pancho Villa), the Columbus based First Aero Squadron Foundation was requested to send a representative to Beale Air Force Base’s special Centennial Celebration honoring that unique small handful of brave young airmen, who had first organized back on March 5, 1913, as our nation’s earliest Army Air group. 1st VP Ric Lambart, himself a former USAF Pilot, represented the FASF at the celebration. Amazingly, that same military aviator group still exists in our modern USAF, and even more surprisingly, continues to pursue the identical mission (Strategic Intelligence and Reconnaissance), as did those intrepid young pilots back in 1916 out of Columbus. Over the ensuing years since first organized, the First Aero Squadron pilots have flown 47 different aircraft and have been stationed at 52 locations around the globe – – – including four times at sea. “We’re standing on the shoulders of giants,” said Lt. Col. Stephen “Chi Chi” Rodriguez, the current First Aero (Reconnaissance) Squadron commander. “There have been a lot of great people who have been members of the 1st over the past 100 years.” While at Beale, your reporter arranged a video interview with this present commander of the First Aero Squadron, and also with the Squadron’s Wing Commander, Colonel Phil Stewart. Both of these interviews will are posted on the FASF website – and also on YouTube – sometime in May. The invited guests toured the 1st Reconnaissance Squadron’s facilities and talked with air crew members about the U-2 “Dragon Lady,” RQ-4 Global Hawk, T-38 Talon and the MC-12, all of which aircraft are flown out of Beale and which were on display. This reporter was given a special private tour of the U-2 training facilities, including the aircraft’s procedures training flight simulator and he also made a video recording, for later website posting, of the Physiological and Altitude training facilities, which were explained by their commanding Officer, Captain Jenny Middlebrooks. One of the FASF’s favorite professional historians, Dr. Roger Miller (also an Advisor to FASF Board of Trustees) of Washington, DC, was a presenter at the Centennial, so we had an opportunity to bring him up to date on our current accomplishments in Columbus since his last visit with us some three years ago, when the USAF flew him out to Columbus to be our official keynote guest Lecturer. Interestingly, pilots in the 1st Aero Squadron’s early days in Columbus trained in and flew rickety and often barely airworthy linen fabric-covered single-engine biplanes with wooden propellers called “Jennys.” Now, fast forward one century later, and the unbroken record of aviation combat surveillance and reconnaissance service by the First Aero Squadron continues. However, the present day First Aero’s U-2 reconnaissance pilots soar to the edge of space (at over 80,000 feet), while those early “Jenny” aircraft were lucky if they could climb to only 6,000 feet of altitude, or barely 2,000 feet above Columbus’ average 4,000 foot terrain. One of the those early Jenny’s most serious problems was that it was too often unable to successfully fly high enough to get over some of the local mountains in SW New Mexico and in Northern Chihuahua, Mexico, during that first combat expedition in search of the notorious Mexican folk hero and rebel Pancho Villa. This FASF representative was greatly impressed by the general high quality and outstanding demeanor of the current USAF personnel that he was privileged to meet and with whom he had numerous informative exchanges during his week at BAFB. Both the current FAS Commander, Lt. Colonel Chi Chi Rodriguez, and its Wing Commander, Colonel Phil Stewart, used the celebratory occasion to become regular paid members of the FASF! 95-year-old World War II Veteran Gene Sr. (father of FASF Board Member Gene Valdes) models our T-Shirt on the left. On the back are the words “GROUND CREW” in large letters. The shirts are available in M, L, XL and XXL. (We can also obtain these shirts in SMALL for you but it will take a little extra time). We are selling the shirts for $25 plus $2 for shipping. The money that we make on the shirts helps retire the debt on the old 1916 FAS Airfield property we own. The Foundation still has a good supply of First Aero Tee Shirts available. They are high quality, bright, gold-colored “Hanes Beefy Tees,” with the logo in front over the pocket, which you can see pictured on the right. We also have patches and decals available for sale. Both are high-quality. The precision embroidered patch is pictured below on the left, with the decal depicted below it. The patches are suitable for attaching (can be sewn or ironed on) to caps, jackets, or other articles of clothing. They sell for $6 (plus $1 for postage). The decals are priced at $3 (plus 50¢ for postage). Every new membership comes with one free patch and one decal. You can order the shirts, patches and decals by phone (575-531-7044), or by email: wehner@vtc.net. Or, if you prefer, send your check with a note to us at: FASF, PO Box 1516, Columbus NM 88029. Thanks for your support! Click on the below link to bring up your Membership Application for printing and mailing.